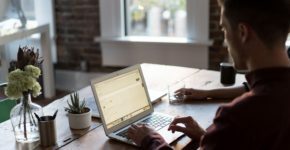 Why wait for customers to come to you? 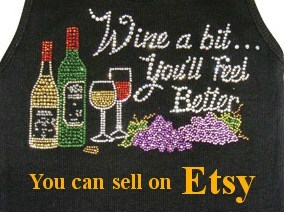 -When you can bring your embroidery business to them! With a little planning and the Avancé compact Embroidery Machine, you can make profits almost anywhere! 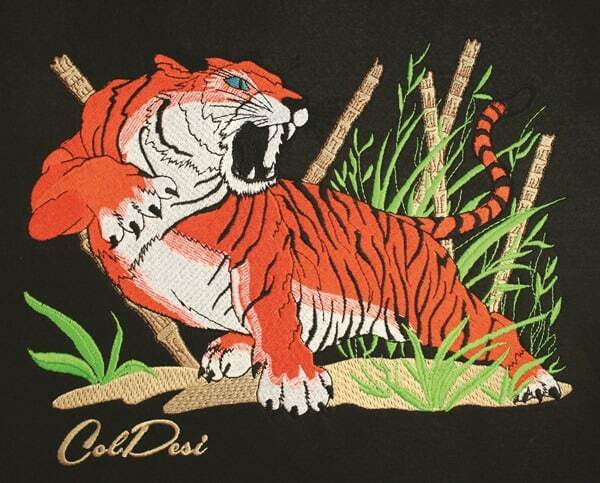 Sometimes, an embroidery business can’t wait for customers to come to them. They take their business to where the customers are! Many embroidery business owners are now breaking the chains of a storefront or home-based shop and taking their show on the road! A mobile embroidery business, bringing your designs to trade shows, flea markets, community events and even Little League games, can be an excellent way to build one-on-one relationships with potential customers. 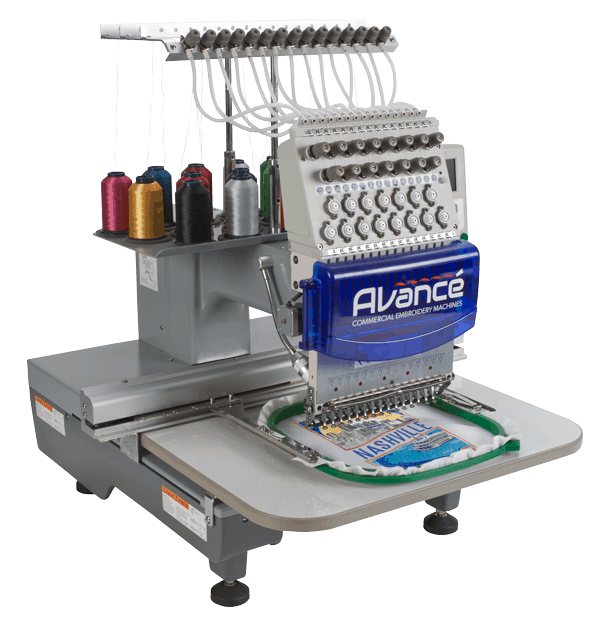 To help you take your expertise directly to the people is the Avance 1501C Single-Head, Compact Fifteen Needle Embroidery Machine, one of the most powerful, flexible and compact portable systems available! Beyond being able to make money almost anywhere, another advantage of a mobile embroidery business with the Avance 1501C is saving money on advertising. Add a personal touch to your business by giving people a chance to look, touch and handle your high quality and innovative designs. You will surely get a bigger bang than a run-of-the-mill flyer or print ad. You might be thinking that packing up your equipment and supplies to attend an off-site event can seem like hard work. 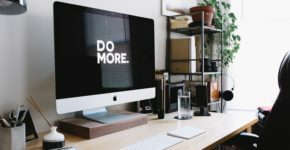 Before you decide, remember this; with a little bit of planning and advance work—as well as the compact and advanced Avance 1501C—a roadshow can be as productive as it is fun. Successful participation in a trade show can provide residual effects lasting well beyond the event itself. Floating: move the frame without stitching forward or backward through design, by units of 1, 100, 1,000 or 10,000 stitches. The Avance 1501C can even move by color code. Success in the mobile embroidery business rests with finding the perfect venues. Trade shows will provide you the most exposure to a broad customer base, but there is some cost involved, beyond materials and supplies. Study the schedule in trade publications, either by subscribing (many groups will provide a free subscription) or on the company’s website. 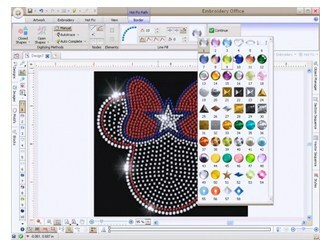 Follow message boards embroidery business, starting a conversation with others in the embroidery business. Almost any interest or niche market will have a message board; sign up and get involved! After you narrow down the list of shows to attend, start calling show organizers to learn more about the details of the event. Often, the promotional information doesn’t give you the full picture of what goes on. Is the show only a networking opportunity, or does it depend on product demonstrations? If it is an outdoor show, make sure power is available. Others restrict things like the amount of noise you can make. If your budget allows for a generator, go with a better brand, one that runs quieter and cleaner than cheaper models. You get to meet some fascinating people and act as the face of your company. The fact is people buy from companies they know. Meeting clients face-to-face is the first step to making loyal customers. With the right equipment, particularly the Avance 1501C Single-Head, Compact Embroidery Machine, taking an embroidery business on the road can give your business the boost it needs! With Colman and Company, you get the sales, service, and support to make your mobile embroidery business a huge success. For more information, visit www.ColmanAndCompany.com or call 800-891-1094 today! Do you have any helpful hints for taking your embroidery business on the road? Let us know in the comments below!